Do you think American needs a wealth tax? Sign the petition to show your support! 3 signed. Let's get to 100! Senator Elizabeth Warren has proposed an "ultra-millionaires tax" as part of her 2020 platform. Do you think it's time for a wealth tax in America? Learn more from Patriotic Millionaires Chairperson Morris Pearl below, and sign the petition above to show your support! 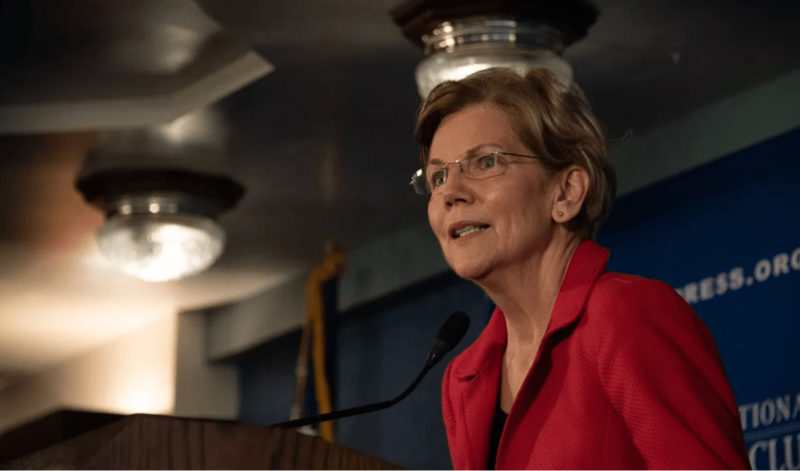 Last week, Democratic presidential hopeful Senator Elizabeth Warren proposed an “ultra-millionaires tax” as part of her 2020 platform. As someone closer than the average American to being affected by the tax should it become a law, I’m eager to see it succeed, and wish it had been presented sooner– for our country’s sake. In Sen. Warren’s plan, net worths over $50 million would be taxed at 2% per year, with incomes over $1 billion taxed an additional 1%. Economists who worked on the analysis believe it would raise “around $2.75 trillion over the ten-year budget window 2019-2028, of which $0.3 trillion would come from the billionaire 1% surtax.” The Senator wants to use this tax to tackle wealth inequality and build the middle class. While some may say the proposal is too extreme, as a millionaire I say it’s far overdue. When Republicans unilaterally passed their tax overhaul in 2017, they did nothing to address the growing concentration of wealth in the hands of an ever-shrinking number of Americans. In fact, their bill worsened wealth inequality in no small part by continuing the misguided tax preference of capital gains over earned income and doubling the estate tax threshold, among other provisions. So while Sen. Warren’s plan may be adventurous, it is overwhelmingly necessary, and, best of all, it’s really nothing new. Over three centuries ago, our Founding Fathers chose to deal with their era’s wealth inequality in a similar fashion, and to much success. Since our country’s beginning, land, the primary way wealth was acquired and measured, was taxed to provide for social goods. The more of it you had, the more you owed in taxes. Sen. Warren’s proposal adheres to the same principle, only updating it to our modern-day definitions of wealth. Best of all, it isn’t even controversial, as three-quarters of Americans support higher taxes on the rich. Everyone in our country is negatively affected by the growing concentration of wealth and power in the hands of a few. Too many rich people use their wealth to gain more political power and influence elections, and then use their political power to gain yet more wealth. As a result, public policy is skewed in their favor, and not in the interest of the country as a whole. We cannot wait for the ultra-wealthy to give up their riches, nor should we allow infrequent philanthropy to excuse their wealth hoarding. The stakes are too high. Right now, 40% of Americans cannot afford a $400 emergency, and, as we saw this month, hundreds of thousands of federal workers cannot go two weeks without pay before struggling for food. At the same time, the top 0.1% of households have almost as much wealth as the bottom 90%. The only way to end this inequality and return to a robust middle class is through bold tax reform. And while any tax hike on the wealthy would be a step in the right direction, this proposal’s focus on net worth and not just income is a key distinction given the way wealth is distributed less equally than income. For example, the top 1% of US households have an average net worth of $10,374,030, but earn just $421,926 on average. Ultimately, we must decide as a country if obscene wealth inequality is compatible with our American values. As a Patriotic Millionaire, I welcome the opportunity to pay my fair share in an effort to end the destabilizing concentration of wealth and power in the US, whether it be through Sen. Warren’s plan or a similar measure that requires more from those most able to contribute.